Welcome to a relaxed vacation to Tuomarniemi! 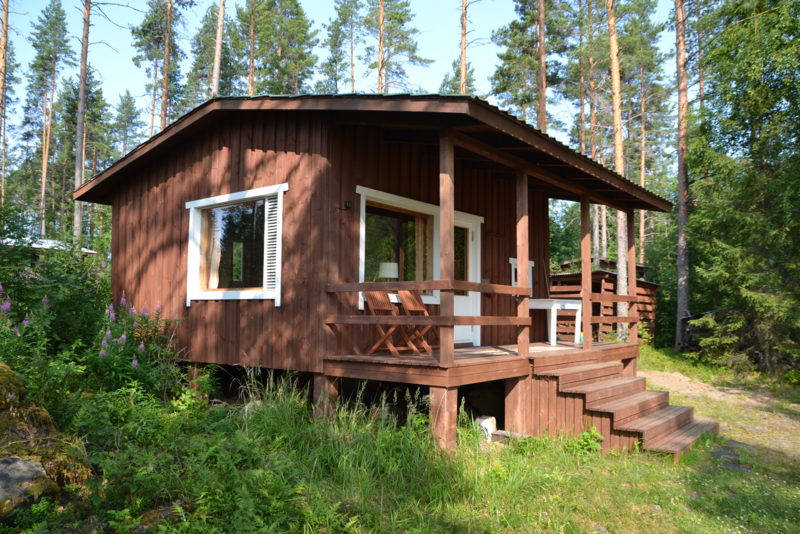 The Tuomarniemi cottages, situated on the banks of the clear lake Viinijärvi, offer inexpensive but comfortable accommodation possibilities for 4-6 people in self-supply lodges. The peace and quiet in one's own lodge is guaranteed, since the distance between the lodges is 40-50 meters, and there are no camping spaces in this area. The cottages are self-service cottages, final cleaning can be done by yourself, or order from us for an extra cost. The equipment of the lodges includes amongst other things a fridge, a stove, an extractor hood, a microwave, a coffee machine, a water boiler, dishes, a washing basin, a hairdrier, an electric iron and a coal barbecue. From May 15 until October 15, drinkable water directly from the tap in every cottage. All lodges have radio, some additionally have TV connection. On the site, there is a separate shower and toilet building with washhouse with washingmachine, as well as a WIFI access for every lodge. Please remember to bring your own bedsheets! The cottages operates on self-service principle. 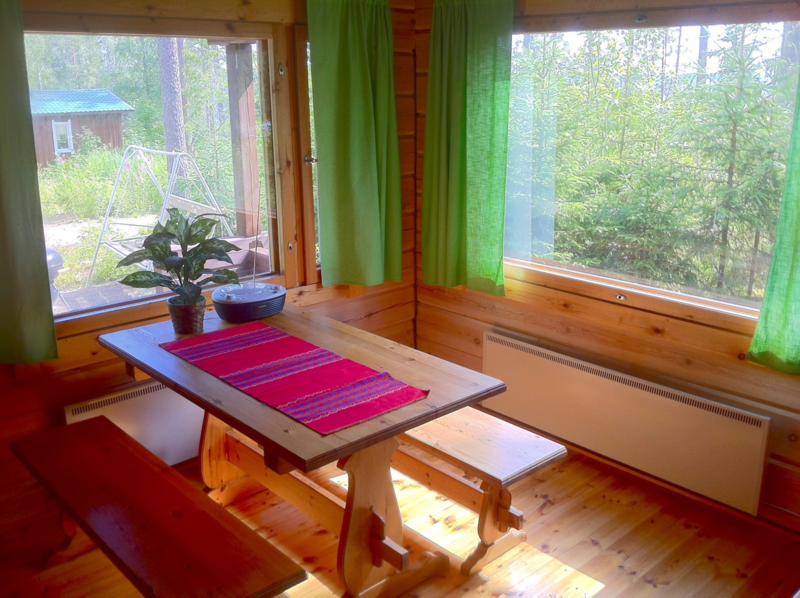 The cottage has been cleaned before the arrival of the customer and the customer cleans the cabin before leaving. If you don't want to clean during your vacation, then you can order a final cleaning as separate service. ATTENTION! Furniture and equipment can differ from the pictures in this cottage-type! Cottage for 5 people. 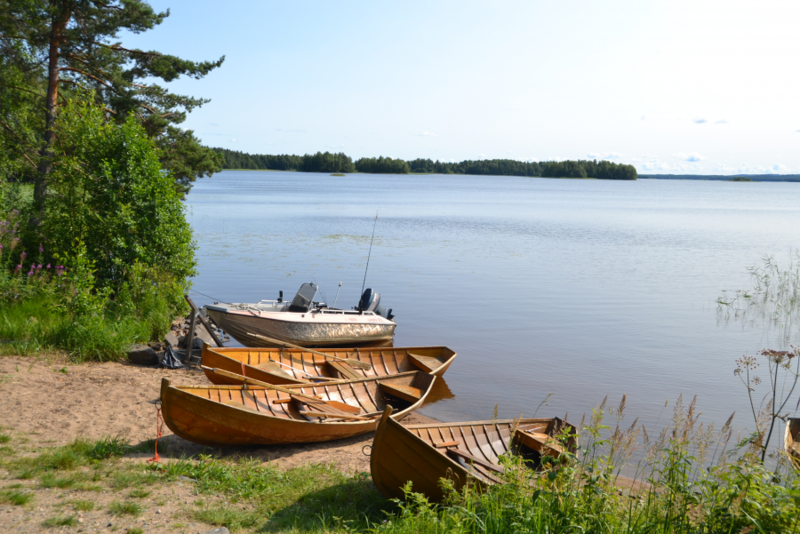 Welcome to a relaxed vacation to Tuomarniemi! 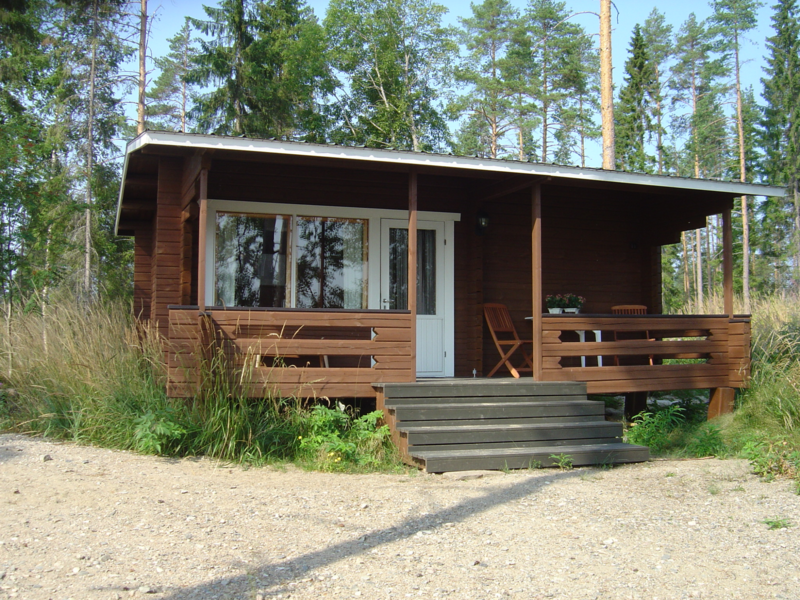 The Tuomarniemi cottages, situated on the banks of the clear lake Viinijärvi, offer inexpensive but comfortable accommodation possibilities for 4-6 people in self-supply lodges. The peace and quiet in one's own lodge is guaranteed, since the distance between the lodges is 40-50 meters, and there are no camping spaces in this area. The equipment of the lodges includes amongst other things a fridge, a stove, an extractor hood, a microwave, a coffee machine, a water boiler, dishes, a washing basin, a hairdrier, an electric iron, a coal barbecue and from May 15 until October 15, drinkable water directly from the tap in every cottage. All lodges have radio, and in this cottage is TV too. On the site, there is a separate shower and toilet building with washingmachine, as well as a WIFI access for every lodge. Please remember to bring your own linen! 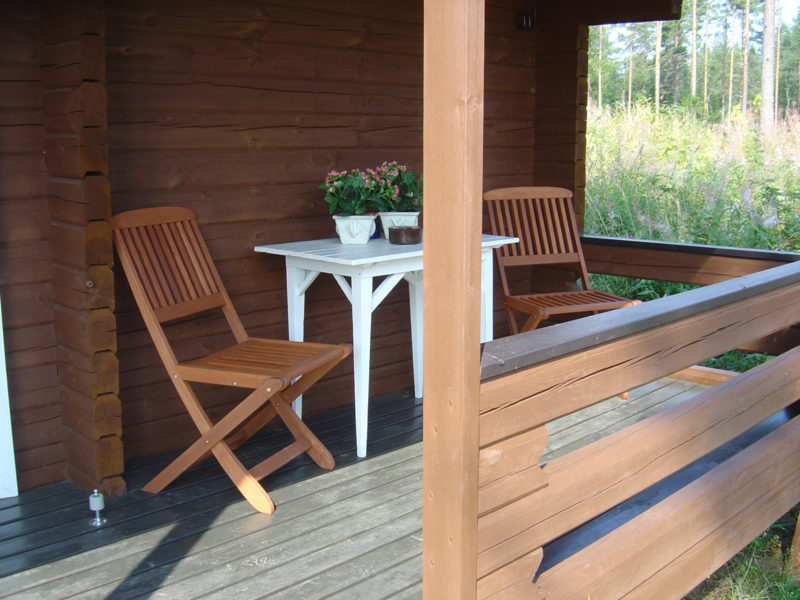 The cottages are self-service lodges, which are handed over cleaned when moving out. If you don't want to clean during your vacation, then you can order a final cleaning as separate service. Cottage with fireplace and wood-heated sauna. 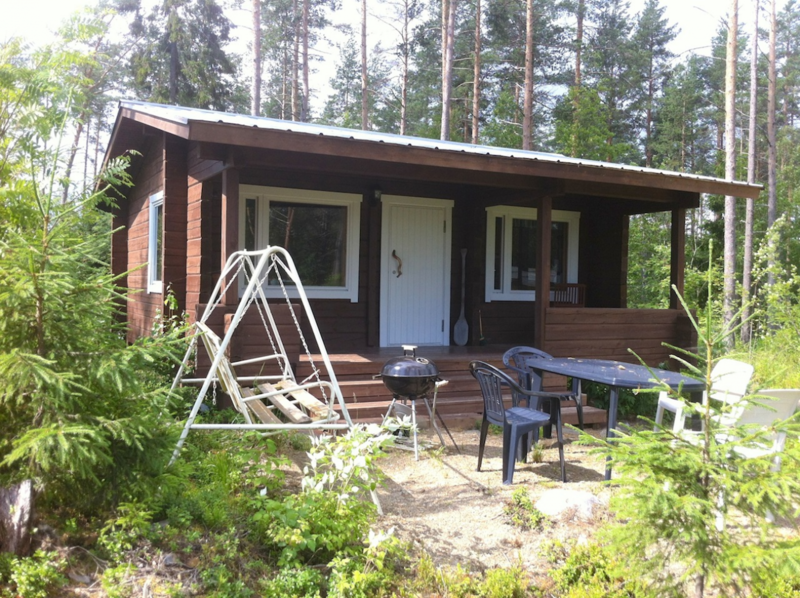 In this Cottage there is livingroom with kitchenette, sauan room and combined sauna dressing room/bedroom. The equipment of the lodges includes amongst other things a fridge, a stove, an extractor hood, a microwave, a coffee machine, a water boiler, dishes, a washing basin, a hairdrier, an electric iron and a coal barbecue. From May 15 until October 15, drinkable water directly from the tap in every cottage. All lodges have radio, and Vallesmanni cottage have TV connection. On the site, there is a separate shower and toilet building with washhouse as well as a WIFI access for every lodge. Please remember to bring your own linen! The lodges are self-service lodges, which are handed over cleaned when moving out. If you don't want to clean during your vacation, then you can order a final cleaning as separate service. 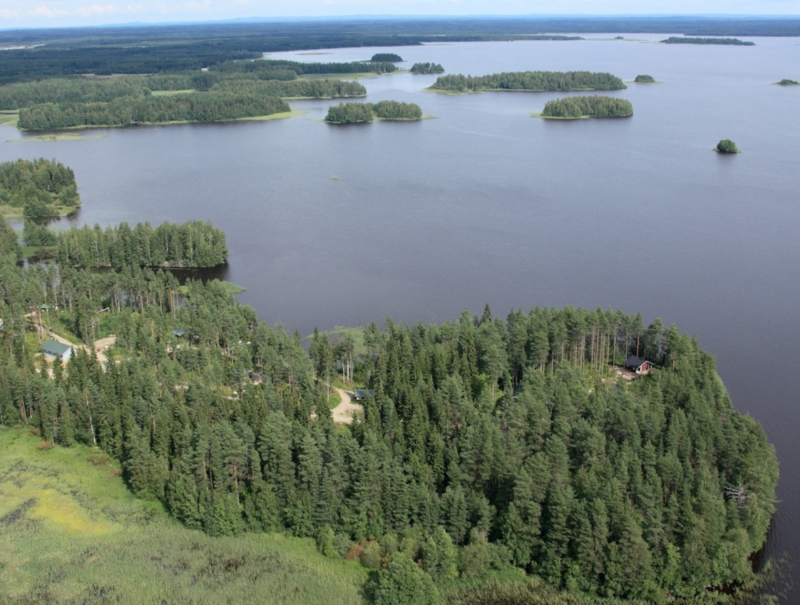 These terms are valid for the Tuomarniemi manor house and lodges. The customer accepts the terms when make an reservation, or he paid the advance payment stated in these terms of contract,t or the advance payment and the remaining balance together to Tuomarniemi. The reservation counts as confirmed, if the customer provided the advance payment until the due date (30% of the lodge's rent), or if the customer paid the advance payment and the balance in one. The remaining balance is due at the latest 21 days before the first day of vacation. The lodge is available for the customer in the reserved time from 4 p.m. on the day of arrival until 12 a.m. on the day of departure. The lodge rent includes furniture, mattresses, blankets and cushions, dishes, cutlery and thermal energy for cooking and illumination. 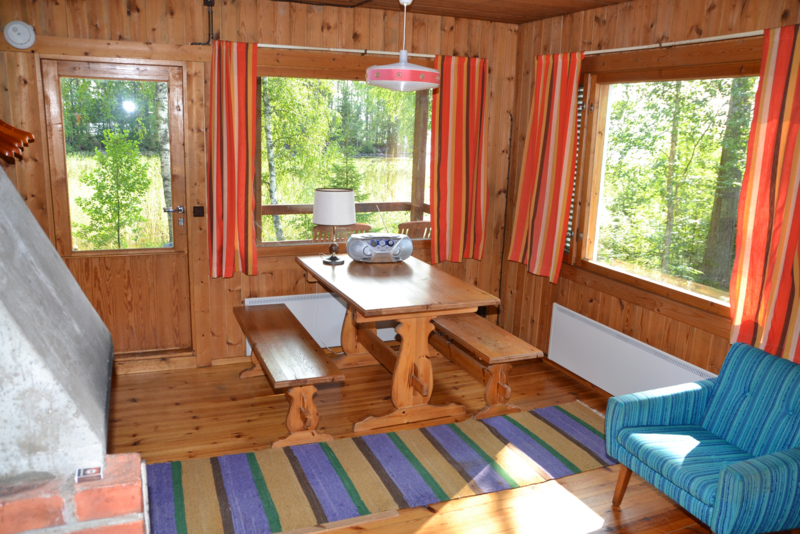 Bedsheets and towels are not included in the rent, the customer has to bring them or rent from Tuomarniemi. The use of bedsheets is required. The sauna and the rowboat can be used for a extra fee. The lodge can be used by at most as many people, as beds are available according to the leaflet, or as agreed upon during the reservation. Festivities or other events, where the number of the people in the lodge is exceeded for a short time, have to be arranged with the owner of the lodge. The use of tents and caravans or equipment to be rented (e.g. wooden bath tube) on the property of the resort is not allowed without authorisation of the owner. The bringing of pets has to be communication in advance during the reservation, and pets can only be brought in objects which have the according permission.